A couple weekends ago we finally broke down and bought new phones and upgraded our cell phone plan to include texting. We could text before but we paid by the text not by an unlimited amount a month. We’d eliminated that when we were jobless in order to save some money. Anyway, our cell phones were also from 2004…well we had multiple incarnations of the same phone. Any time our phones would die, Chris would go on Ebay and find a refurbished or cheap one from overseas somewhere. So, I hadn’t had it but a week and it was starting to get scratched. 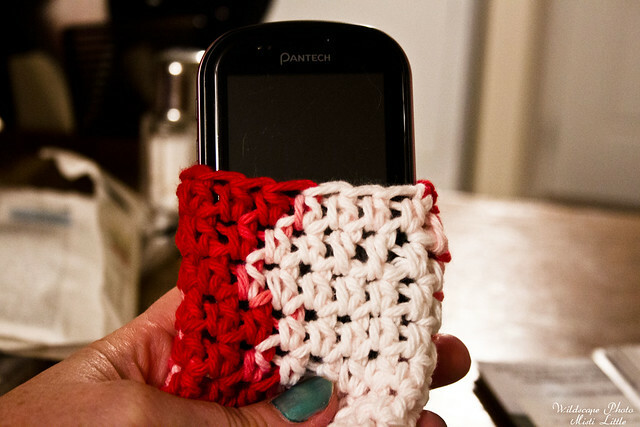 I know you can get screen protectors and I still will probably get some, but I came up with the idea to make a cell phone cozy. I’m sure I’m not the first one, but I didn’t even Google it, just whipped it up while watching t.v. one evening. 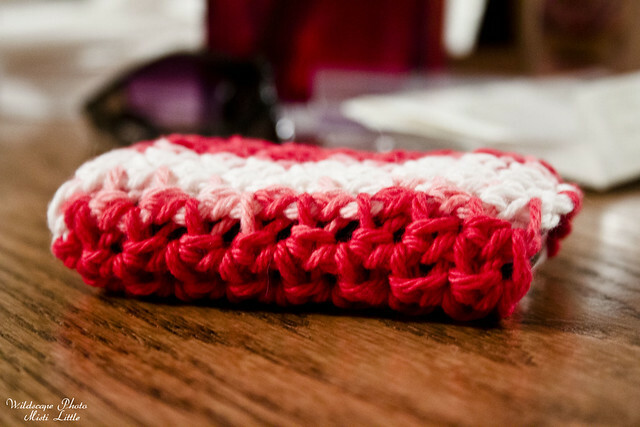 I was actually more inspired by the coffee cup cozies out there than anything. It was easy, took about fifteen minutes after I figured out the right size to make it. 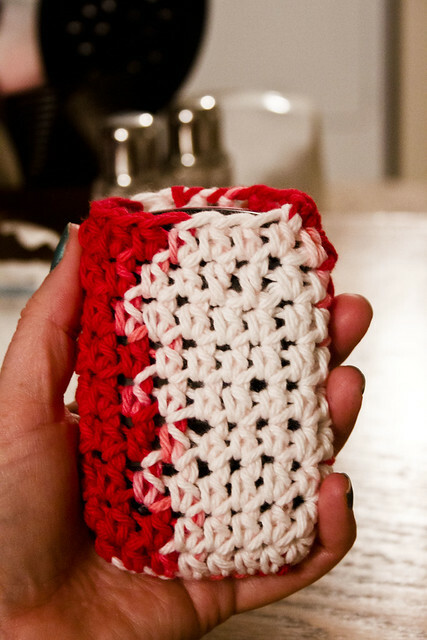 Just made a chain of 9, then worked half double crochet’s into a round around the chain. Pretty simple! Good use of spare yarn! That’s *so* great. I am so envious of your skill with crochet. I REALLY want to learn but I’ve put the limit on my hobbies (for now). But it still would be ideal to do while watching TV at night, after dinner. So…. maybe soon! Very cool! You are so good at thinking up stuff.